When I was a child, I loved to pretend I was a fairy. Monkey seems to be following in my footsteps. Today, we had two little girls over who just had a new baby sister. These girls were perfectly content to play magical fairies with Monkey all day. Monkey has a giant pink pinwheel that the girls determined was a magical fairy scepter wand. However, since there was only one, there was a bit of argument over who should get the pinwheel wand. What’s the solution to such a problem? 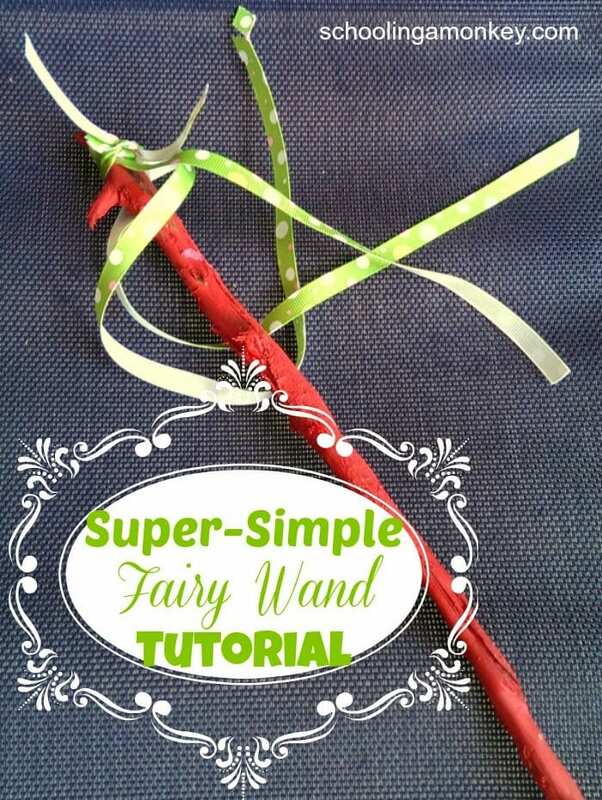 Make everyone their own wands! Since I had no idea we would be making this project before the day started, we had no supplies. We had to get a little creative. We traipsed out to the yard and found three suitable sticks. We then used supplies that we had sitting around the house to transform the sticks into magical fairy wands. Clean the sticks and remove any rough bits. No need to be super thorough. Allow the sticks to dry. Caution, girls at work. Here is what our wands looked like pre-embellishment. 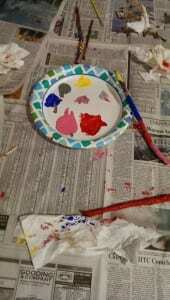 Paint the sticks with acrylic paint and allow to dry. We had quite the difference in creativity. Monkey painted her wand all one color because it was the “wand of healing.” Another girl painted hers with strips of color. The last little girl randomly placed paint wherever the fancy struck her (she is three). Glue or tie pieces of ribbon to the end of the wands. You could also add glitter, buttons, flowers, or whatever else you have lying around. Wait for the glue to dry before playing with the wands. I wanted to wrap the sticks entirely with the ribbon, but the girls preferred streamers, so that is what we did. One girl glued a flower to hers. Sadly, I forgot to take a picture of that wand in its finished state. It was cute. The flower gave it an earthy vibe. 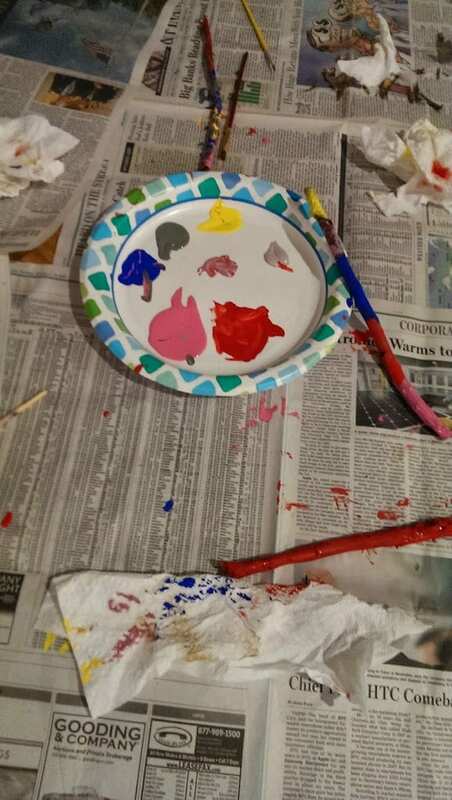 Note: If you want the paint to dry faster, you can use a hair dryer to speed up the drying process. I was able to take a wand from freshly-painted to dry within about one minute using a hair dryer. This post is linked to “Quote Me” Thursday at Daily Mayo.